Friends of Music’s next concert will take place on October 9 and will feature The Piano Quartet. Featuring leading South African pianist Andrew Warburton joined by celebrated members of the KZNPO strings, they will offer a rarely-heard programme of great piano quartets from the 18th and 19th centuries. Performing with Warburton will be Violeta Osorhean (violin); David Snaith (viola) and Aristide du Plessis (cello). 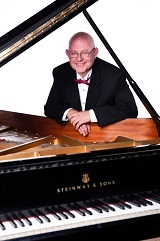 Warburton is acknowledged as one of the finest solo pianists and accompanists in South Africa. He is presently Lecturer in Piano, Director of the Opera School and Choral Academy, and head of Western Classical Performance Studies at the UKZN School of Music. Violeta Osorhean was born in Timisoara, Romania. 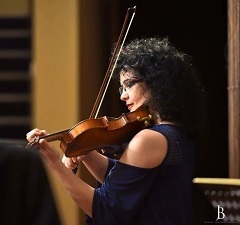 After her university studies she played for eight years in the National Opera Orchestra - Cluj Napoca, then joined the Transylvania Philharmonic Orchestra and toured Europe, Japan and the USA. She is currently the Associate Concert Master for the KZN Philharmonic. David Snaith was born in England. 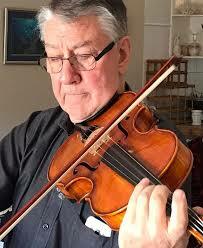 He held Principal Viola positions with The Royal Opera House Covent Garden, The Welsh National Opera, The Bournemouth Symphony Orchestra, The National Opera of Belgium, and the Cape Philharmonic Orchestra. He was appointed Principal Viola of The KwaZulu-Natal Philharmonic in 2009. Aristide du Plessis was born in Durban in 1989. 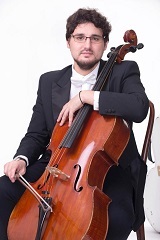 He has established a reputation as one of South Africa’s leading cellists, both as a soloist and chamber musician. As a soloist he has performed since the age of 15 with all South Africa’s leading orchestras. A graduate of the University of Cape Town, he furthered his studies at the Zürich University of the Arts. Since his return to South Africa in April 2015, he has been the Co-Principal Cellist with the KZN Philharmonic Orchestra. The programme will include Wolfgang Amadeus Mozart’s Piano Quartet no. 1 in G minor, K.V.478; Antonin Dvořák’s Piano Quartet no. 1 in D major Op.23, and Gabriel Fauré’s Piano Quartet no. 1 in C minor, Op.15. Prelude Performers for the evening will be Weien Amy Luo (10) and Xizhi Aiden Luo (7). 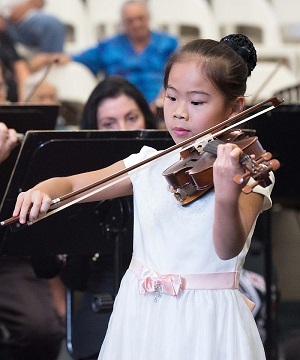 Amy started playing violin at the age of 8 with Violeta Osorhean. In less than 2 years, she has passed her ABRSM Grade 3 and Grade 5 violin exams with distinctions. She has played piano concertos with the KZNPO every year since she was five years old. Amy is also does well in sports and enjoys all sorts of other school activities. Aiden started the violin lessons with Violeta Osorhean a year ago and has thrived since then. He played with the KZNPO in the Michael House Festival this year. Aiden passed his ABRSM grade 2 violin exam with distinction in May this year. Besides the violin, he is also proficient in piano and has been a regular player with the KZNPO since he was four years old. He loves reading and is an active swimmer.